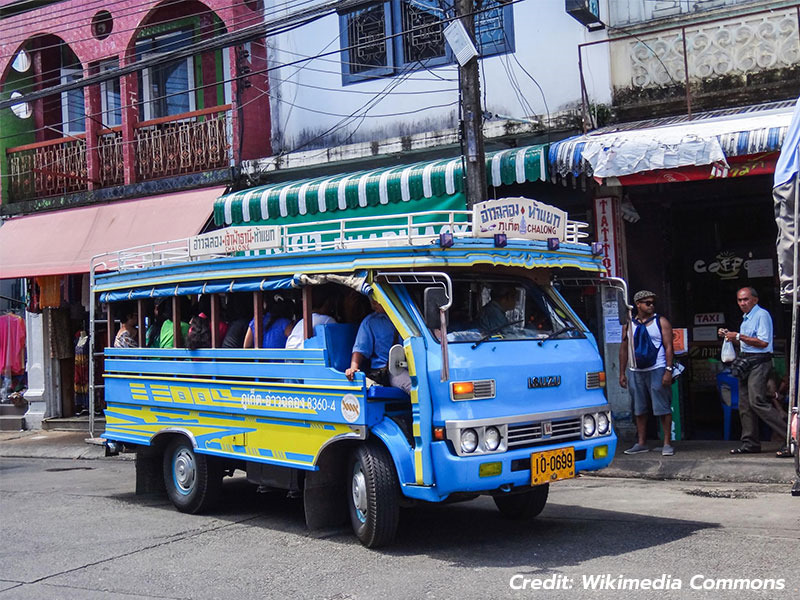 There are always small, open-air buses going between Patong, Surin, Kamala, and Karon, the main beach areas of Phuket. They are all pretty cheap and follow a predetermined route, but you’ll have to bring your patience because the journey may take time. The route for these buses starts from either the main terminal or the fresh market on Ranong Road. If you want to get through the towns itself, however, you’ll have to connect with another form of transportation. There are also a couple air-conditioned buses on Phuket. One route goes between Big C and Phuket Vocational College, and the other between Rajaphat Institute and Laemchan Public Health Center. 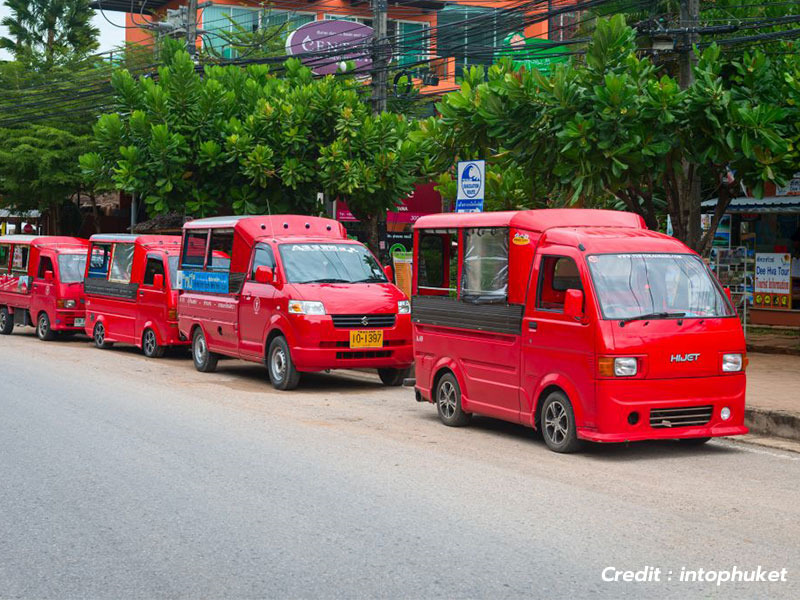 If you’ve visited Bangkok beforehand, you may recognize these small, four-wheeled trucks with benches for passengers in the back. These also follow predetermined routes, with their destination advertised on their vehicles. To call one of these songthaews, simply reach out your hand and wave, then get on. As you near your stop, press the button to be let off. Phuket Town is the main link for this form of transportation, so if you’re looking to head somewhere a little off the way, you may have to walk or take another mode of transport from here on. Bring a GPS! Although you may be accustomed to three-wheeled tuk tuks, the tuk tuks on Phuket island have four. They are actually more similar to songthaews than they are to tuk tuks. These small trucks are probably the most expensive mode of transportation in the area, and locals tend to avoid them because they know they’ll be paying a large sum. You could try to bargain for a lower price, but don’t be too hopeful. These tuk tuks go straight to your destination, which is why a lot of tourists choose them over buses or songthaews. However, you’ll have to make peace with their high prices and fend off their offers to take you to jewelry shops and other stores on the way. 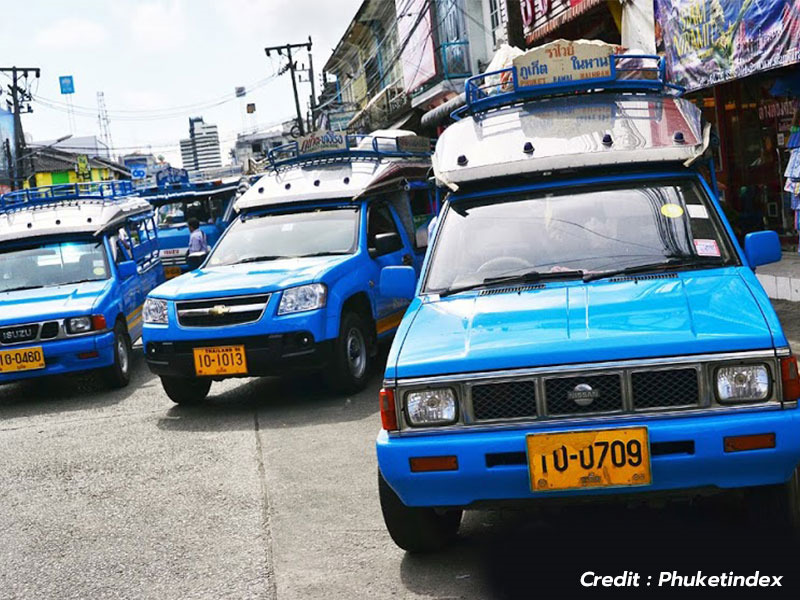 Metered taxis are still expensive compared to buses and songthaews, but they are usually much cheaper compared to tuk tuks. 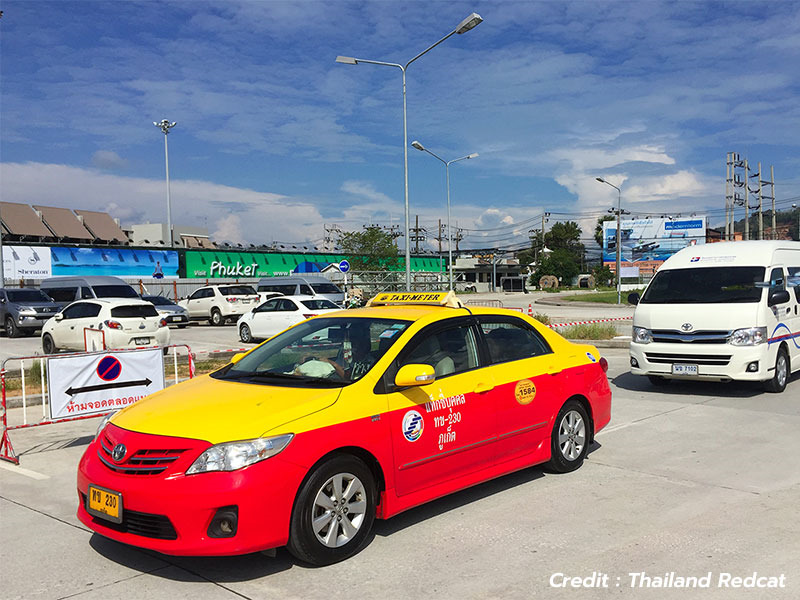 You won’t miss a Thai taxi - it will be brightly colored with a noticeable taxi sign on top. If you see a sign with some red text in front, you’re in luck - the taxi is vacant, so flag it down. There may be a couple waiting for customers at popular destinations and major roads as well. Do note that occasionally they may be harder to find, as there aren’t all that many taxis in Phuket as there are in Bangkok. As for non-metered taxis, avoid them for short journeys - you’ll probably be paying much more than you should be. For a day of exploration however, you may be able to negotiate a good price. Another cheap and easy way to get around the island is on the back of a motorbike taxi. It’s probably the cheapest and quickest way to go short distances, particularly if you’re traveling alone. They won’t be hard to find - every driver wears a bright neon vest, most likely orange. You’ll find them congregated in small makeshift stands around busy areas, or you could even wave one down if they don’t have anyone riding with them. Ask for the price before getting on so you don’t get ripped off, and always wear a helmet! If you plan to explore several places and want to do so on your own terms, consider renting a car or a scooter for the duration of your stay. It can often be worth the price if you intend to hit several places. Though scooters are cheap and easy to ride, we don’t recommend renting unless you’ve got a license, insurance, and experience. The repercussions really aren’t worth it. Driving in Bangkok can be very different from driving back home, and you’ll find that you need a lot of road savvy. If you do decide to chance a scooter, wear a proper helmet and thick clothes so that in case you do happen to get into an accident, you won’t be as badly hurt. If you’re traveling in a bigger group or with your family, consider renting a car. It isn’t all that hard to find a car rental shop in the area, and there are lots of gas stations where you can fuel up. Don’t forget - in Thailand, you’ve got to drive on the left side of the road. Don’t just hit the gas when the light turns green too - always look around and be aware of everything going on. With any rental vehicle, be sure you inspect it well before heading out. Take photos of any damages that were already there so you aren’t charged for them upon returning. Phuket is an island city, after all. There are ferries, speedboats, and longtails galore. If you want to spend a day on a nearby island or on the mainland, catch a ferry or a speedboat from Rassada Pier, which isn’t too far from Phuket Town. Whether you want to hit Koh Phi Phi or Koh Lipe, you’ll find a way to get there here. If you want to visit Krabi Town, head to Numchai Pier or the Sea Angel Pier. Bang Rong Pier is the place to be if you’re trying to get to Koh Yao. Keep in mind that during rainy season, there may be cancellations or cessation of service until the water calms down. 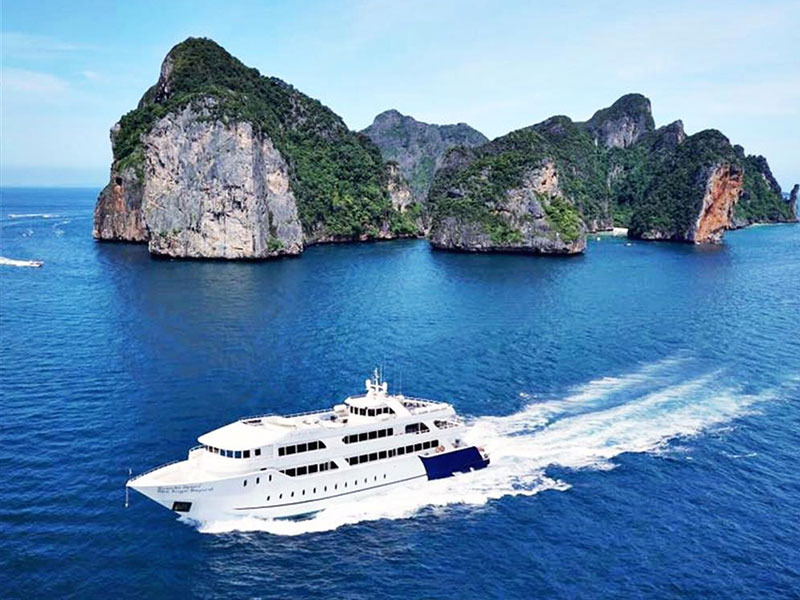 Just as you could look to hire a taxi for the entire day, you could also hire a longtail or a speedboat for a day of ocean travel. This is great for island hopping, exploring the coastline, or even fishing! You’ll find willing boaters for hire on just about every pier. Phuket is an island, but you can get there by vehicle thanks to a long bridge connecting it to the mainland. This means that flying isn’t your only way to get to and from this resort island. 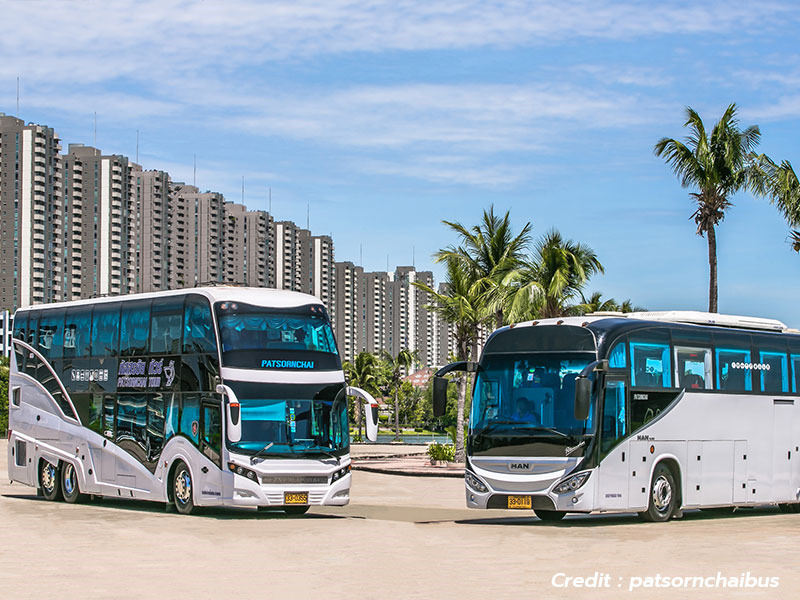 There are buses and vans that can take you to Bangkok, Hat Yai, Huahin, or even Phang Nga. For those nearby destinations, head to the bus terminal located in the middle of Phuket Old Town. For longer journeys to Bangkok or other provinces, head to the newer bus terminal a short distance away. It would be a good idea for you to reserve your seat in advance so that you’ve got a spot saved at the time you’d like to leave, otherwise you may show up and find that they are fully booked. Of course, you can always get to and from Phuket by plane. 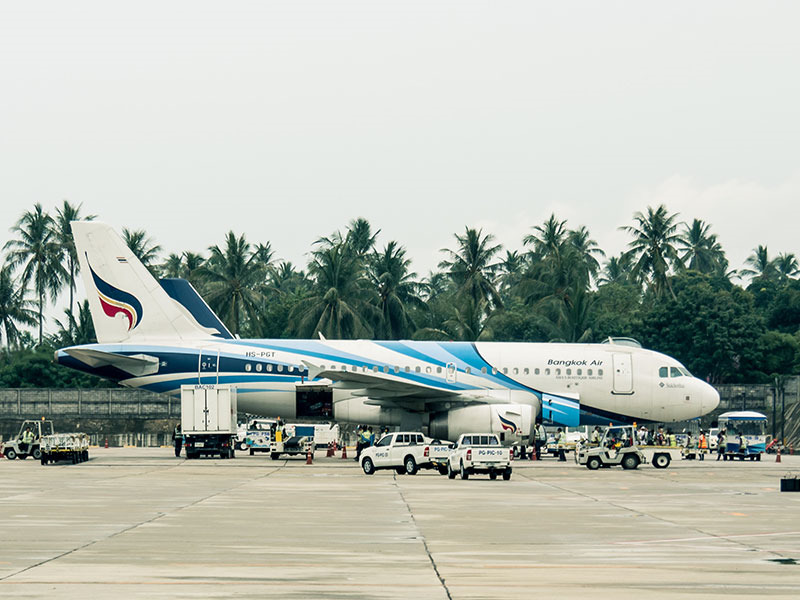 The international airport on this island is an extraordinarily busy one, hosting airlines like Thai Air Asia, Thai Airways International, Thai Vietjet Air, Bangkok Airways, and much more. There are also international airlines - British Airways, Emirates, Finnair, and China Airlines, among others. You can find your way to plenty of places here, whether you wish to travel to a domestic destination or an international one. To get to the airport, head down to the Phuket Bus Terminal and get on an airport bus, or even get on at either Phanthep Condotown, Central Festival Phuket, the Heroine Monument, and Thalang district Office. Flights, especially domestic ones, are becoming cheaper and cheaper as airlines compete, so do consider this option as it will often cost you less AND get you to your destination more quickly.